My wife and I first saw it at Ellis Island during our 2012 vacation visit. Although only one of many sheet music titles related to immigrants and Ellis Island displayed in one of the exhibits, this one caught our attention. As fate so often would have it, we came across this copy on a seller’s table at The Pleasanton Antique & Collectable Fair last weekend. We purchased it along with several other more conventional titles such as You’ll Never Know and Green Eyes.This piece was copyrighted in 1916 by Leo. Feist, Inc. Feist Building, N.Y. While the song lyrics are typically quaint in the style of those times, they carry a distinct message. That message undoubtedly would resonate with recent arrivals at Ellis Island were it translated for them into their native tongues. The message: It’s not about your nationality, it’s about you – how hard you work and your determination to succeed in America. It would seem to be a double-edged message which cuts both ways since immigrants arriving here often faced pre-conceived notions about their desirability as fellow countrymen – stereotypes based on nationality. For some, America’s welcome was warm; for others, distinctly guarded. For the former, the song’s admonition is a mild caution not to expect a warm welcome complete with entitlements. For the latter, it is a veiled warning of potential discrimination while, at the same time, offering hope of overcoming its effects through hard work and demonstrated ability. It is a great message, the reassuring admonition that one will be judged not by one’s nationality, but by the “content of one’s character,” to paraphrase one of the great speech lines of all time. Over the long-haul, character, ability, and hard work often did prevail to determine the immigrant’s fate, but the initial ordeal to assimilate and overcome the negative nationality stereotypes faced by many hopeful arrivals must have been difficult. I am not sure which nationalities fared worst in terms of initial acceptance; it seems that most immigrants faced unfavorable stereotypes at one time or another, from one quarter or another except, perhaps, some western Europeans and English speakers. Regrettably, it was often nationality pitted against nationality among the recent arrivals that caused problems in communities. 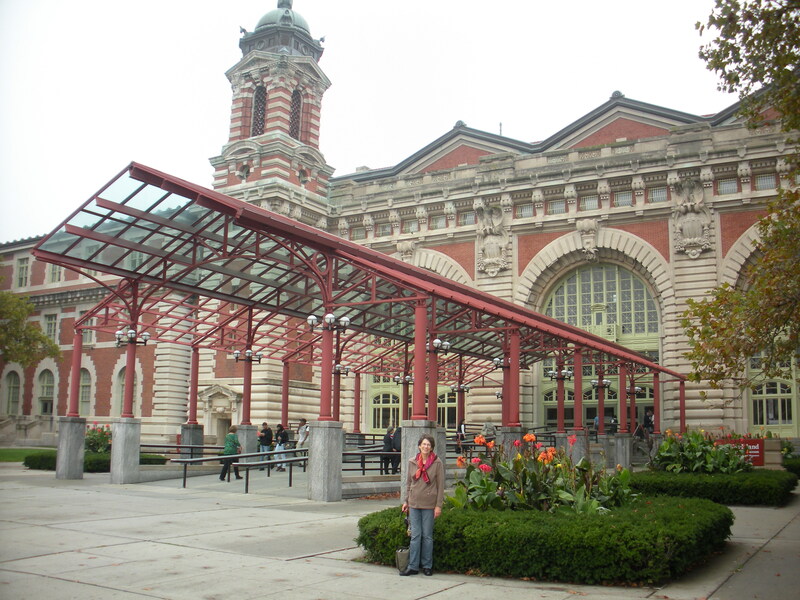 Our Ellis Island experience in 2012 was fabulous; everyone should go there – especially youngsters. For the young, the life-lessons on display can kindle an understanding of what “hunger” and “fear of failure” must have felt like for recent arrivals. For them, the hunger to succeed in their new lives was fueled not only by ambition, but by the dark portent of possible failure. There were few they could depend upon except immediate family members who also made the voyage. There were certainly no governmental safety nets for them. Nothing was taken for granted. Like the song lyrics say, “it’s simply you and what you do.” Should not that always hold true? 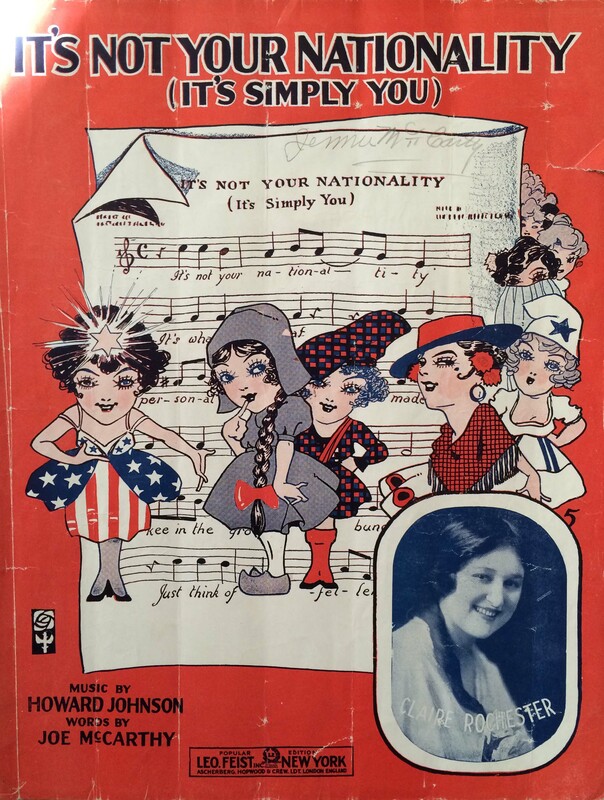 This entry was posted in General History, Human Nature, Music, Relections on Life and tagged Antique & Collectable Fair, character, Ellis Island, immigrants, Pleasanton, song sheet by Alan. Bookmark the permalink.